Marmande is a great producer. The fruits are large weighing up to 200 grams and there are about 5 on each truss. The meaty fruits are great for cooking and grilling on a summer barbecue. 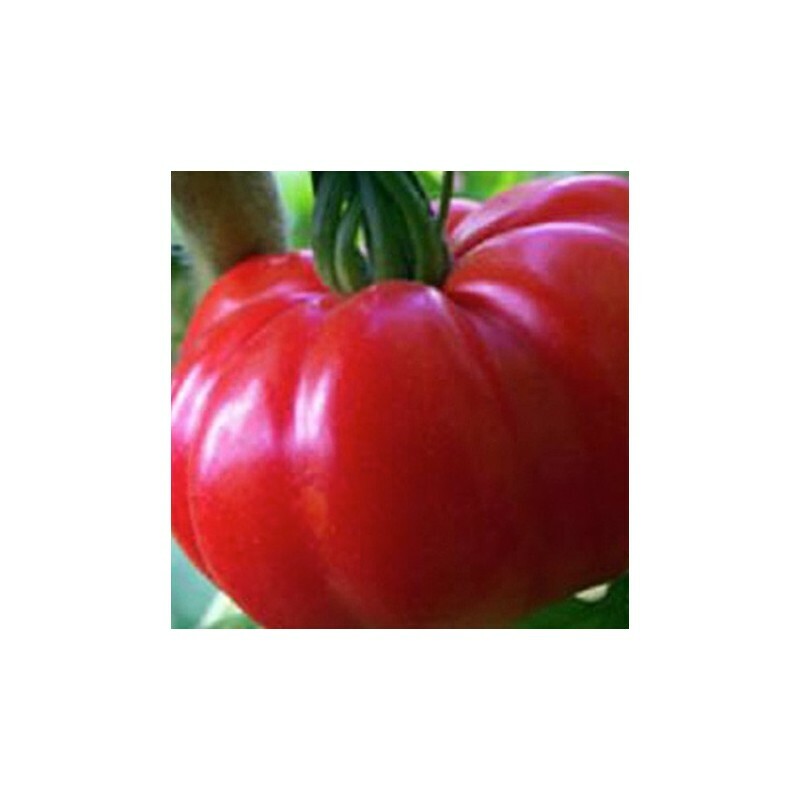 A well know beefsteak variety, it has been around for a long time because crops reliably even outdoors. 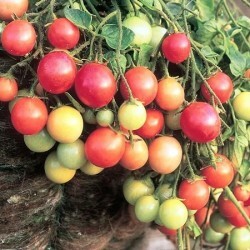 Sow the Marmande tomato seeds about 1 cm deep into a seed tray or in small pots or cells, cover lightly, water and place them between 20 - 25 Celsius on a windowsill, heated greenhouse or propagator. Keep the temperature at around 25 Celsius if you have an electric propagator, as tomatoes love heat. 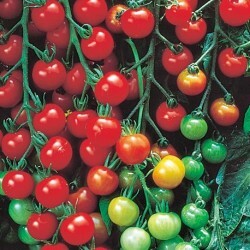 Sow the tomato seeds in the UK in February if you have enough space indoors and if you grow the tomatoes in a heated greenhouse. 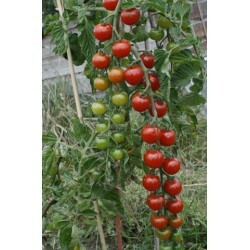 Or if you are short of space you can even sow the seeds as late as mid-April in an unheated greenhouse. As soon as seedlings are large enough to handle, prick out. Transplant the seedlings into individual small pots, later on they might need to be repotted if growing quickly and large. Make sure the leaves do not overlap. Temperatures during this stage should be 12-20 Celsius at least but preferably 25 Celsius and above. 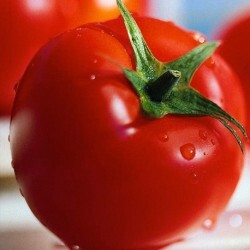 The best place for raising tomato plants is a heated greenhouse or a tall propagator. Plant outside mid-May-June 80x60 cm, or keep in the greenhouse. After planting out you have to support the plants with a cane. Make sure you remove the lower leaves to allow air circulation around the plants and the fruits, this will prevent your tomatoes from diseases.